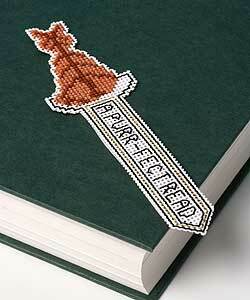 These charming bookmarks could be a simple first project if you want to give stitching on perforated paper a try. The kits contain perforated paper, backing card, threads, needle, chart and full instructions. This is our smallest and simplest kit - it started life as a project for people coming into our showroom and wanting to give cross-stitch a try!